Beautiful window coverings should additionally deliver on privacy, utility, and longevity. That’s why we provide the best quality products in shutters, blinds, window film, and shades in Phoenix. On top of that, we’ll also custom build your new shutters to perfectly fit your windows and match your décor. 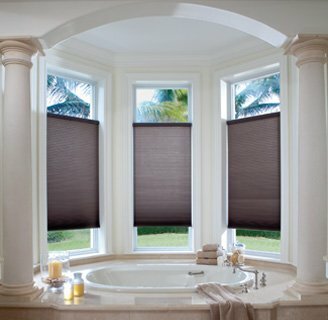 Explore all the window treatment products available to you. With more than 35 years of unexcelled quality and customer service, we sell exceptional shutters you can install in your home with pride. Plantation shutters are the choice window treatment in Phoenix, because they’re energy efficient, long-lasting, and elegant. They have large louvers that are adjusted easily to control the amount of light you wish – and look lovely, no matter what room they’re in. 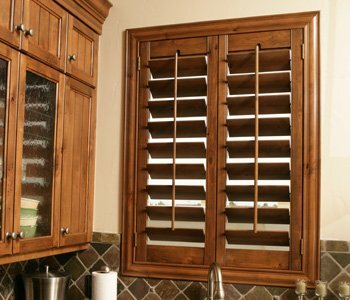 Polywood® plantation shutters are a composite shutter that gives you more control over light, temperature, noise, and privacy. Ovation® wood shutters are durable wood plantation shutters built with the hardwood, teak. And reclaimed wood shutters are fashioned from certified upcycled wood from buildings, barns, and fences. It’s true that not all windows are created equal. And so we’ll custom measure and fit the shutters you choose to the windows in your home. Whether your windows are circular, rectangular or sidelights on the entry door, we have a shutter that will fit your unique and specialty-shaped windows. Desire shutters that enhance your style? Our top of the line staff are ready to help you pick from a selection of paints and stains to match your decor. Learn about your color options here. Interested in taking the modern feel of barn doors to your Phoenix house? Sunburst Shutters Phoenix walks you through the process of finding the right mix of barn door hardware, styles, stains, and paint options for you. And our experts set it up for you instead of a door or as a window treatment. Discover more about our sliding barn doors in Phoenix. Bring to your home fashion and usability to your space with panel track blinds. A better alternative to traditional vertical blinds, panel tracks effortlessly glide along a track and stack to the side of your sliding door or windows. See all your options for Phoenix panel tracks with Sunburst. 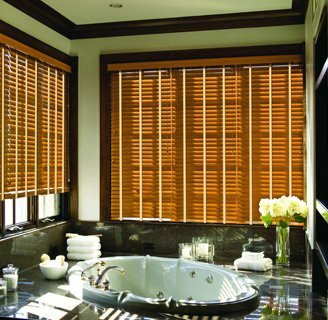 For homeowners who are interested in other treatments, we offer an array of blinds, shades, and more to cover every window in your Phoenix home in style. We insist that you browse through our blinds and shades collections that feature quality manufacturing and a wide choice of colors and styles.